Historic England and the Pebblebed Heaths Conservation Trust are working closely with Devon and Cornwall Police to protect the newly repaired remains of Woodbury Castle from damage by illegal off-roading. Recently an illegal off roader was spotted and reported by a visitor to the local beauty spot. Equipped with evidence, the Trust and Historic England supported by the local Police Heritage Crime Liaison Champion were able to identify the driver who has been issued with a formal notice under Section 59 of the Police Reform Act 2002. Unfortunately, despite signage and temporary fences, the site is still being damaged as a result of illegal off-roading by 4×4 vehicles driving across the ancient hillfort. Ruts caused by tyres are damaging the soil and newly grass seeded areas, preventing grass from growing. Off-roading on the ancient ramparts compacts and erodes the original fabric of the site which is believed to be around 3,000 years old. The Scheduled Monument is of national importance. It is thought that Woodbury Castle was of considerable significance in the early settlement economy and power politics of the area. 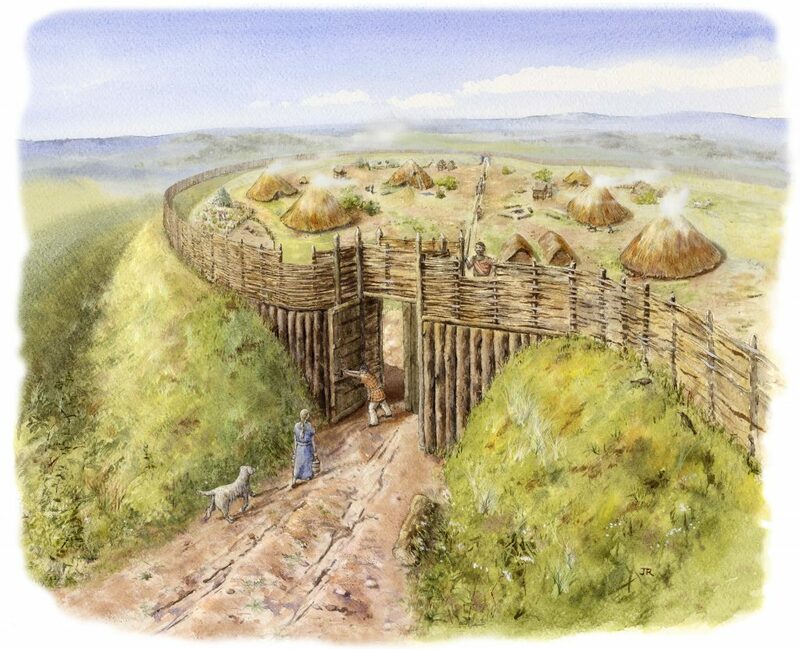 Excavations have shown that the site includes buried remains of probable round houses. 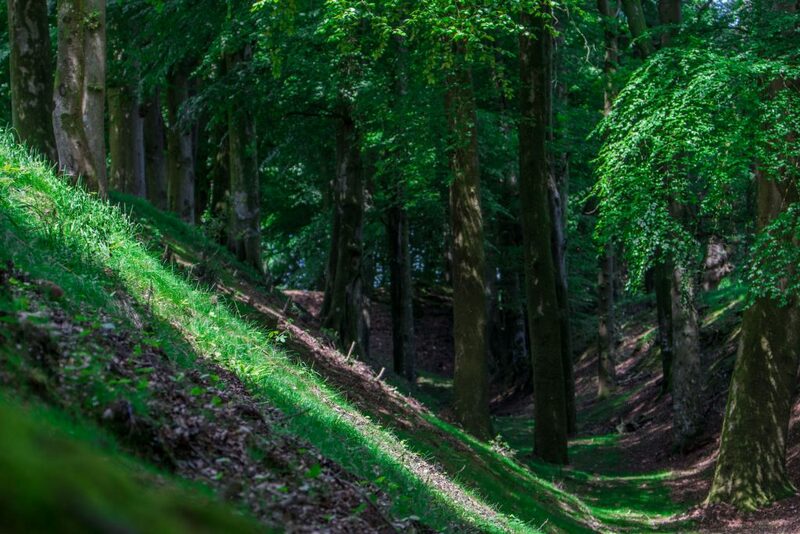 Although now wooded, it was built in an open landscape and would have had views across the countryside to the coast and to other hillforts and Iron Age structures in East Devon and beyond. The Trust, Historic England and Natural England have spent the last year undertaking a large-scale project employing local contractors to restore and conserve the ramparts (the banks forming part of the defensive boundary of the site) and to provide better information and public access for visitors on foot. Kim Strawbridge Site Manager for the Pebblebed Heaths said, “Woodbury Castle is a fantastic site that is special to a lot of people for a whole range of reasons, we have spent much of the past year working with our volunteers and members of the public to protect this historic landmark within the heaths. Though we have on-going management of trees and scrub, and a green blanket of grass to establish to provide long-term protection against erosion, our hard work is paying off. 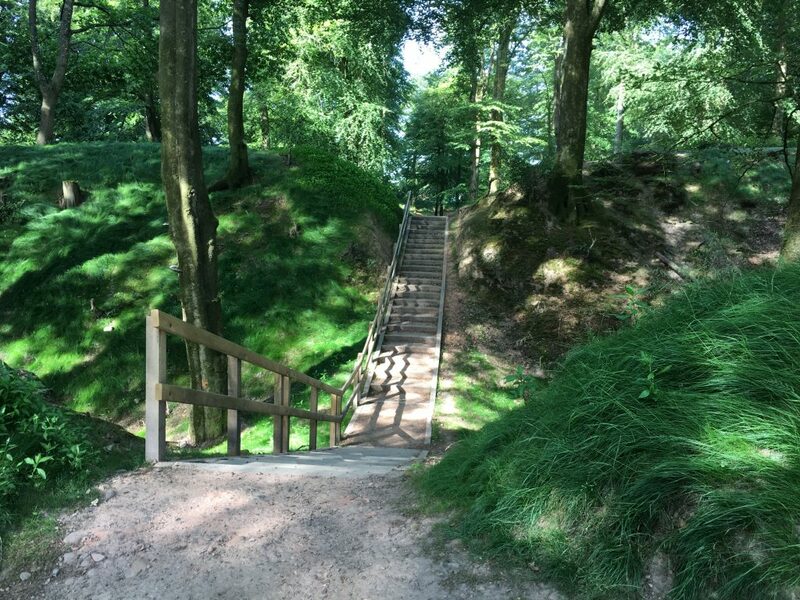 People visiting the hillfort can play their part by making sure they enjoy the site in a way that doesn’t cause damage”. The Trust has recently trained a group of 14 local people to act as volunteer heritage wardens to help monitor and record the archaeology of the Pebblebed Heaths. Rural Crime Officer, PC Martin Beck said “The police in Devon and Cornwall recognise the importance of working in collaboration to preserve our historic and cultural assets in the South West. The impact of this type of crime isn’t just simple damage this is against our future generations who we protect our cultural assets for. Illegal off roading gets reported in various places across the county. If you are an off roader please stick to places you know you can go. If it’s not your land find out first who’s it is and ask before going on it”.